Posted February 18, 2019 & filed under Abortion, Action, Legislation, News. Some Legislators have implied that the Federal Partial-Birth Abortion Ban Act prohibits abortions in the late stages of pregnancy. It does not. It prohibits one specific type of abortion procedure. There are other types of abortion procedures used to abort babies in the second and third trimesters of pregnancy – procedures used at the UVM Medical Center. Unrestricted abortion after fetal viability is currently legal in Vermont and would remain legal under H.57 – which was clarified by Judiciary Committee Chair Rep. Maxine Grad. 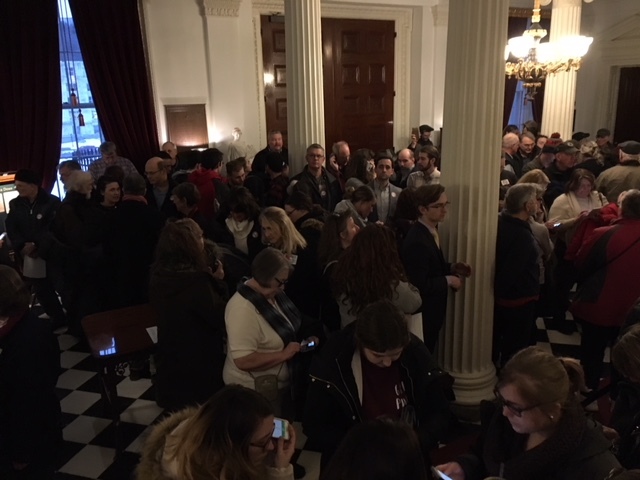 While most of the attention on H.57 has focused on the legal status of abortion, the testimony taken in the House Judiciary Committee confirms that H.57 will make significant changes to Vermont law. It will protect abortion above childbirth, and could restrict pro-life free speech. Section 9497 prohibits a public entity from restricting access to abortion. It does not, however, prohibit restricting access to childbirth. Under H.57, individuals, including abortion providers, could have a right of action against the state, should they, for example, be denied a Certificate of Need for an abortion facility, or an across-the-board reduction in funding for health care programs reduces tax-payer funding for abortion. Providers and recipients of other medical services would not have such a right. Because many of the terms in the Bill are vague and undefined, it is unknown the full extent of the impact. Testimony in the House Judiciary Committee confirms that schools, as public entities, would be affected by this legislation. It appears pro-abortion messages in our schools would be protected, while anti-abortion messages would be subject to restriction. H.57 is not just a codification of current abortion practice in Statute, it is far-reaching Bill that would promote and protect abortion above other alternatives in our State. Any Legislator who votes in favor of this Bill is expressing their support of unrestricted abortion throughout pregnancy, rejecting each and every Constitutional limit the State could place on abortion, and establishing a preference for abortion over childbirth in Vermont law. Posted February 7, 2019 & filed under Action, Legislation, News. The House Human Services Committee passed the Bill out of their committee today after only making cosmetic changes. 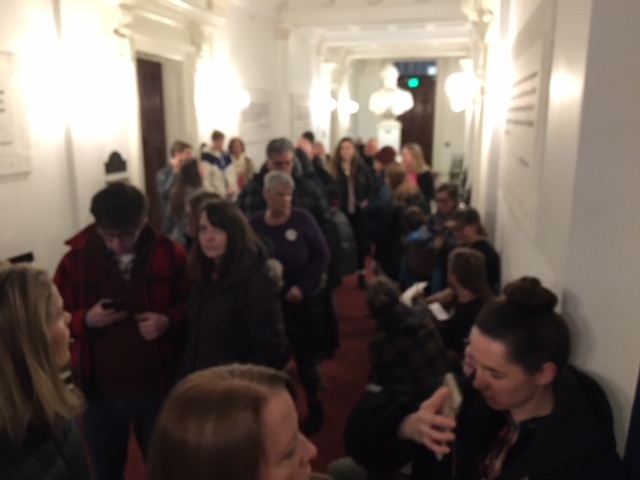 After discussion and assurances that it would not change the meaning of the Bill, they removed the line: (c) A fertilized egg, embryo, or fetus shall not have independent rights under Vermont law. This is merely a change intended to appear responsive to the strong opposition displayed at the public hearing, but in reality does nothing to protect unborn children, prevent any abortion, or eliminate the possibility of fetal experimentation or research. The change is merely a ploy to make it seem like opponents’ concerns were addressed by the Committee in some way. 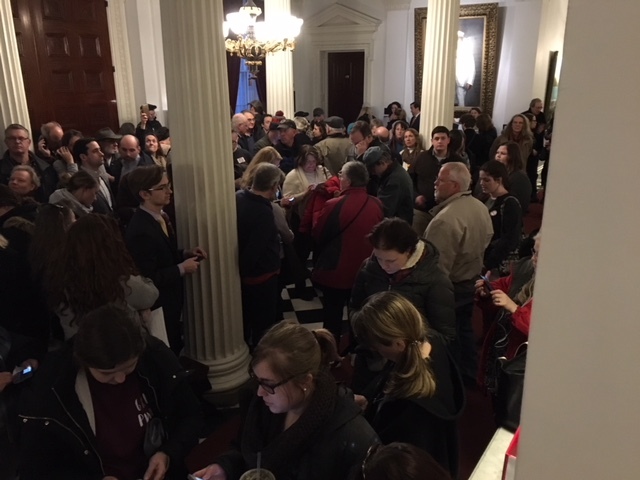 Proponents of the Bill are also making deceptive claims about the federal Partial-Birth Abortion Ban Act, implying that the Act makes all third-trimester abortions illegal in Vermont. It does not. The Act prohibits one specific type of procedure, but does not prohibit other types of abortion procedures from being used at any time during pregnancy. The Committee heard testimony from UVM Medical Center abortionist Dr. Lauren McAfee, who uses the Dilation & Evacuation and Induction Abortion procedures which are used to abort babies in the second and third trimesters. You can read descriptions of these procedures here. While there is no abortionist who admits to performing elective third-trimester abortions in Vermont, under current law and H.57 if enacted, it would be permissible. Both second and third trimester abortions can result in a live birth. What happens then? The law is silent and would remain so under H.57. H.57 now moves to the House Judiciary Committee. We anticipate testimony to begin next week. We will continue to send updates as events unfold. Your continued vigilance and support is needed and appreciated. We must continue to be a voice for the voiceless.